Ir. os is a literary word for deer. The name Oisín means 'little deer', 'fawn', as Oisín's mother Sadhbh (Sive) came to Fionn in the form of a doe. There is another Mullach an Ois (anglicised Mullaghanuish) in the Mullaghareirk Mountains. 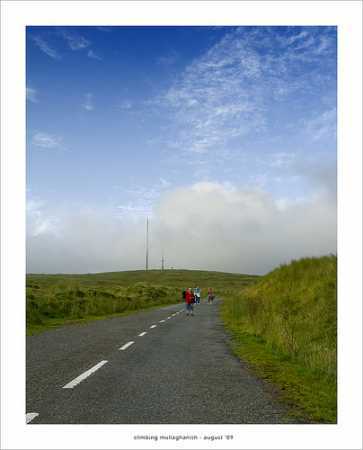 Mullaghanish is the 203rd highest place in Ireland. Picture from paulocon : Are we there yet? Picture: Are we there yet?